Thursday: Olive Garden Pasta Alredo with chicken and salads! 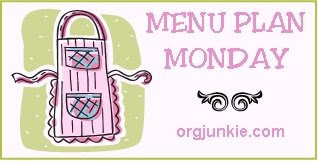 I’m stopping by for a visit from Organizing Junkie, Menu Plan Monday today! This time of year can definitely add up. I’m working on my shopping lists for this week, looking for sales. We’re not having turkey this Thanksgiving. The choices are pizza or homemade lasagna. We’re turkey’ed out! Everything looks so delicious. The Alfredo sauce recipe sounds amazing. Thanks for sharing a link. I added it to my Pinterest recipe board.